My work over the last thirty years has been a search to discover how we dwell and move within landscape. I have lived and worked all over the continent from the mountains of Tasmania to the floodplains of Arnhem land. I see myself as a hybrid mix of artist and scientist; one who tries to relate the minutiae of the natural world - leaf, feather and beetle wing - to the abstract dimensions of the earth's dynamic systems. Using techniques of watercolour, collage, frottage, nature printing and other methods of direct physical or kinetic contact I am finding ways of collaborating with the actual plants, birds, trees, rocks and earth of a particular place. I like to think that the large works on paper on which I assemble these different drawing methods represent a kind of inventory or document about the state of the earth. I want to reveal both the energy and beauty of it, as well as show its condition of critical even terminal change. 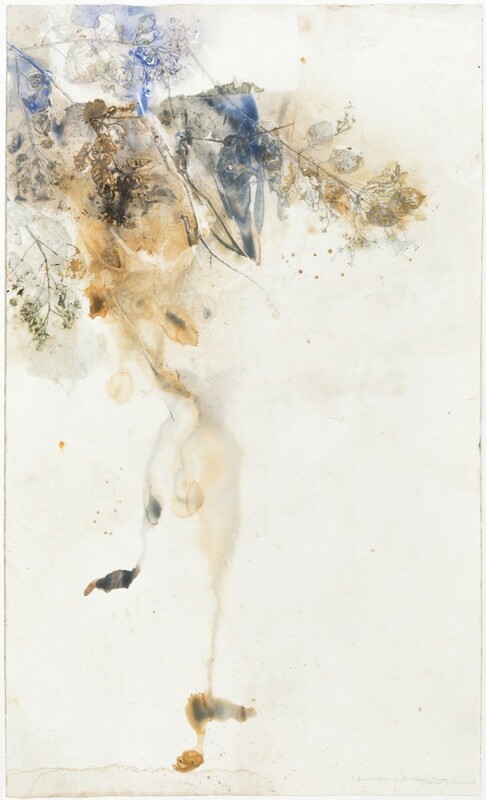 My interest is to paint the processes and energy field of the living systems of this land - flocks of birds, or water plants in swamps, or the movement of sand dunes or the ways in which trees regenerate after fire. I have spent a lot of time in the last five years in the company of the great Yolngu artist Mulkun Wirrpanda painting the floodplains and flora of the Blue Mud Bay region of North East Arnhem Land. In 2017, the results of this collaboration were exhibited at the National Museum of Australia as Midawarr Harvest: The Art of Mulkun Wirrpanda and John Wolseley and formed the basis of a handsome book of the same name.